Best Reusable Water Bottle For Any Adventure – All kind of adventure related products support ! A good water bottle is something that you must keep in your possession whenever you are out so that you can quench your thirst as you need. 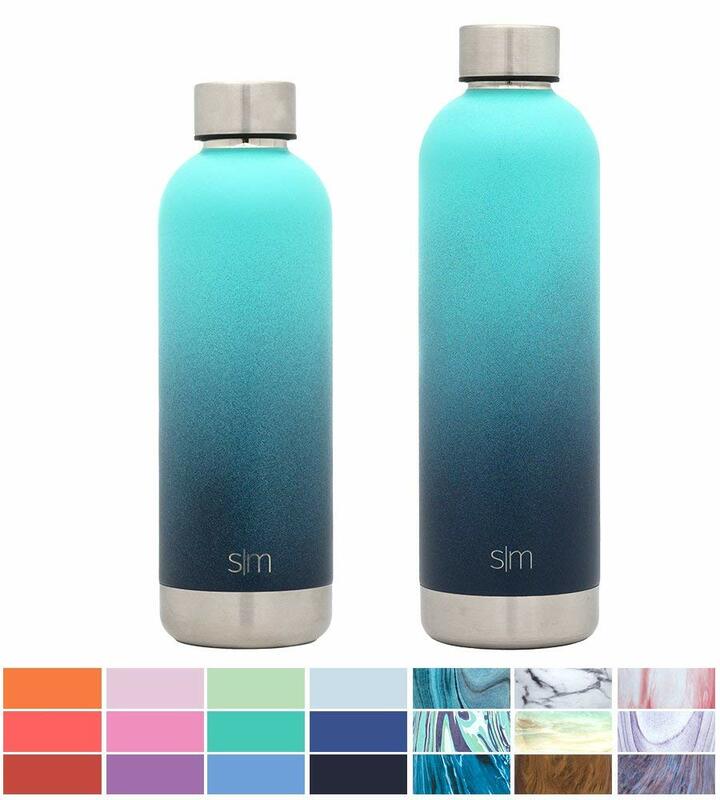 The simple water bottle is available at various places coming in various colors and unique designs and you can find almost everyone carrying one. All these bottles will serve the basic purpose but they can be of various materials and there are some specific features that one has to consider. With each new brand bringing in a new technology in the market, the search for a perfect bottle can be quite confusing. The purpose for which you are buying a bottle is very important when you select one. There are also bottles with special features like insulation, collapsibility and many others, that you can check out. Water is a life making ingredient and when you are storing water in a bottle, it is best to choose the best quality available in the market. The best options are not always the costliest ones and so I will provide you with the recommended models from our end. Before that let me share a few points that you need to keep in mind when you are choosing a bottle. Any water bottle can hold water but there are a few factors that can make the difference to you as a user. So when you want to buy a bottle for some specific purpose and want to use it for a long time, you need to consider some factors. Before buying a bottle one needs to fix the purpose of use i.e. whether it is for indoor use or travel or for outdoor use. Depending on that, you can choose a stylish one for indoor whereas a durable and tough one for traveling. The bottles built specifically for outdoor use have some sort of carabineer loop or straps to attach it to your backpack and a wider mouth for ease of use. Water bottles are built from various materials like stainless steel, glass, aluminum, and plastic. Stainless steel ones are very durable and long lasting but they are heavy and absorbs heat quickly. Aluminum is lighter than stainless steel though it too gets easily heated while glass is a heavier and costlier option. If you are choosing plastic bottle make sure that they are BPA free and are recyclable. The opening style can really make you love or hate your bottle so it is best that you give it a thought. A bottle can have a spout, a nozzle or a typical screwed top and each of them has its own advantages. Nozzles and sprouts offer more controlled outflow while a wide-mouthed bottle can be easy to empty and fill up even form a stream. For those who are traveling, lighter bottles are the best options but for the hikers and backpackers, the sturdier models which can withstand rough usage are a better choice. These two factors are dependent on each other so based on the activity you are planning the bottle for, you can pick a model. The volume may not be an issue for indoor use but for athletes and hikers, the extra weight comes with extra energy expenditure. The reviews of the best reusable water bottles will follow shortly but before that, I will put up a small table of comparison which will help you get to know the main features of the products at a glance. The Camelback Chute is definitely a great bottle which has the right features that will make you really appreciate it. It is tough and durable and has a nicely designed spout to help you drink comfortably without any spillage of water. The angle of the spout is perfectly designed so that you can drink easily without spilling. The threads are kept on the inside resulting a smooth drinking interface and the fastening arrangement of the cap also doubles up as a carrying handle. This is one bottle which is light and easy to carry. The handle is smartly designed so that you can easily carry the full bottle just on two fingers. The wide mouth design makes it easy to fill and wash whenever needed. This bottle is covered by a lifetime warranty so when you buy it, you can be sure that it is going to last for a long time. Dimensions: 10 x 8.89 x 25.4 cm. Some users found the cap difficult to anchor. This is one bottle that will serve you well both indoor and outdoor with its perfect styling and easy to use features. This water bottle provides solid durability along with top class insulation and is made out of reusable materials, making it a great choice. Made out of high-quality stainless steel and vacuum insulated, this water bottle is a great value for money product. Multiple attractive colors are available for you to choose from, making the unit perfect for a wide range of uses. The built of this unit is of very robust with 18/8 food-grade stainless steel which does not rust or corrodes. As an added advantage, the material is also easy to clean and totally leak-proof once the cap is tightened. This is a great bottle to store hot or cold liquids as the insulation is double walled with a vacuum gap in between. The manufacturer declares that it will keep things cold for twenty-four hours and hot for up to eight hours. The inner wall is coated with a thin layer of copper which makes the insulation and the capacity to hold liquids even more better. The copper reduces and transfers of heat thereby keeping inside temperatures stable for more time. The powder coated cup is also insulated and the outer texture is sweat and fingerprint resistant, giving it a great feeling. In addition, the bottle can fit into any cup holder and is also made out of reusable materials making it environment-friendly. Dimensions: 5 x 2.8 x 7.4 inches. Some users found the lid to be sweating. This is a great bottle which will get high points for aesthetics and is ideal for those who are looking for an insulated option.